Luana Lima and Dr. Cron. On Monday, January 23, at the Rockland School Committee meeting, two Rockland High School seniors received awards recognizing their academic and extracurricular achievements. 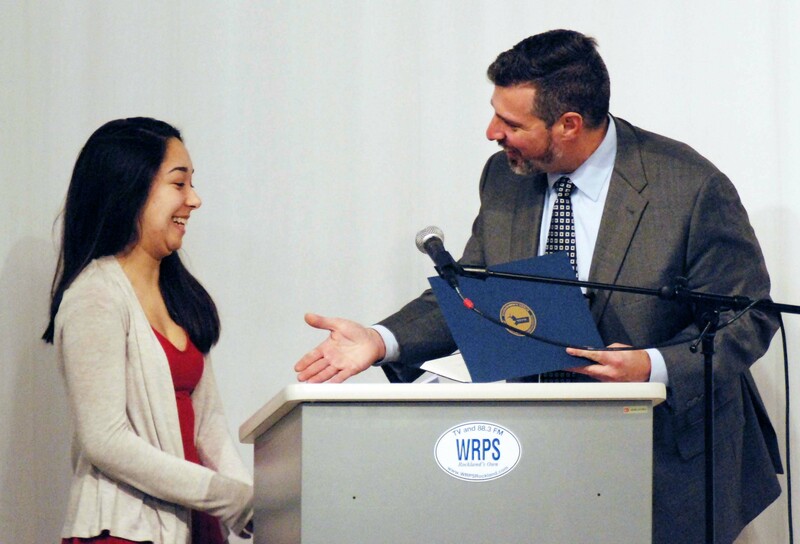 Superintendent of School, Dr. Alan Cron presented Rockland High School senior, Luana Lima with the Massachusetts Association of School Superintendents’ Academic Excellence Award. Dr. Cron said that Luana is “exceptional academically.” She is a member of the National Honor Society, Images Magazine. the math team, and the concert band, and is a peer mentor. Luana has achieved honor roll each term and received the St. Michael’s Book Award last spring. 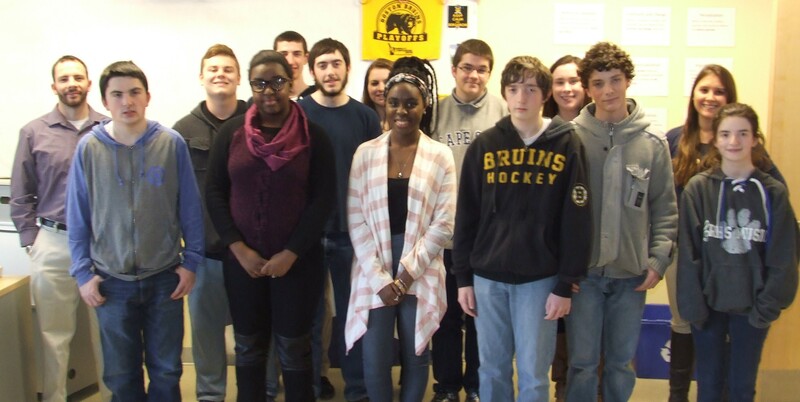 RHS students are raising money to attend the Harvard Model Congress Conference in Boston over February vacation. 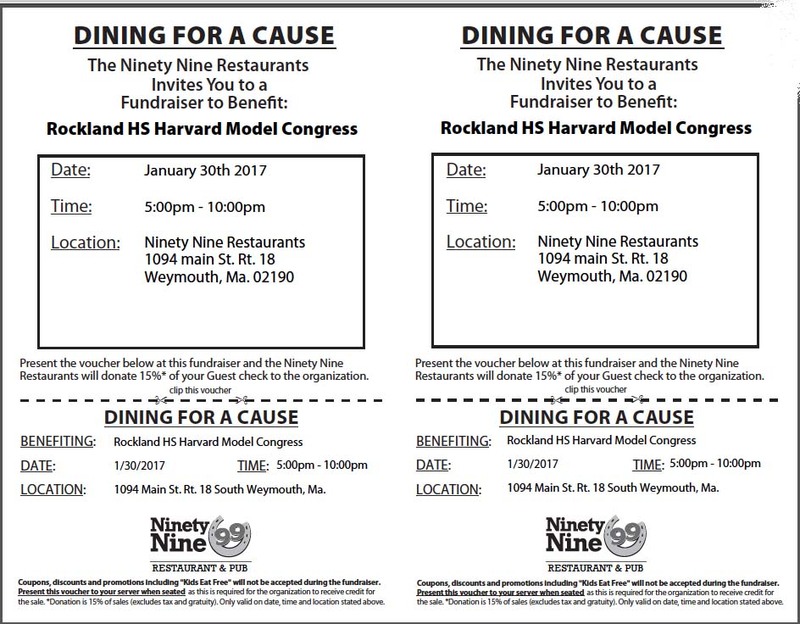 They will be hosting a Dining for a Cause night this Monday, January 30, from 5-10 p.m. at the WEYMOUTH 99 Restaurant on Route 18. Below is the form you can bring in or show on your phone. They will also have raffles for gift baskets on sale. This group attended Harvard Model Congress last year. Harvard Model Congress is the “largest government simulation conference in the world,” according to its website. It gives students the opportunity to see firsthand how government works. The Boston conference is one of several held throughout the country. Students who attended the conference last year spent four days and three nights in Boston. Read about last year’s conference here. So, come to the 99 in Weymouth on Monday night to support our Harvard Model Congress students. 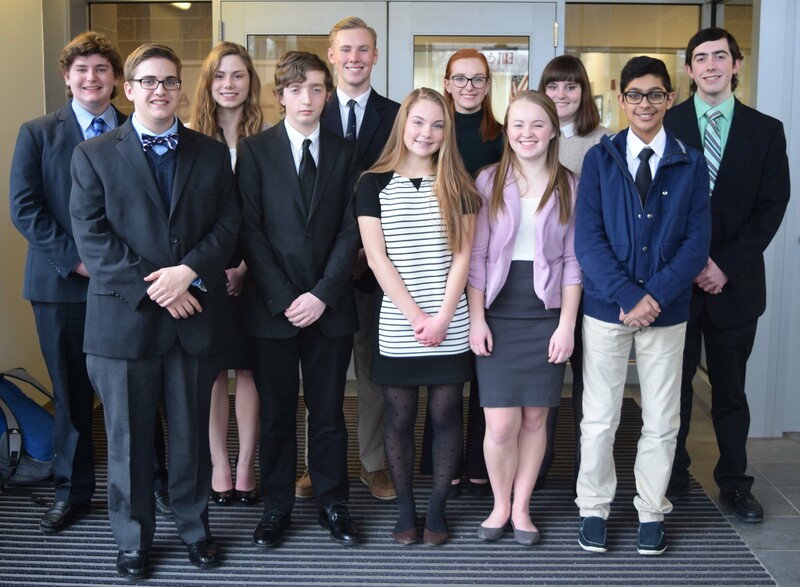 Yesterday, on January 26, 2017 Rockland’s Mock Trial team won their first meet of the season at Brockton District Court House. They won their case and also won point-wise. The team unfortunately had to miss their F Bock final in order to argue their case against Whitman-Hanson’s Mock Trial team. At yesterday’s trial, Rockland played the role of prosecution and W-H was defense. Senior Emily Delaney was a stand-out for Rockland. She was one of the attorneys and provided the opening statement and cross-examined the defendant of the case. Next Tuesday the team will be facing Braintree at Brockton District Court House at 1 pm. John Ellard was RHS time keeper. On January 20 in the RMS/RHS Lecture Hall, Rockland High held its annual poetry recitation competition. Genesis Rojas, Adiza Alasa and John Ellard placed 1st, 2nd and 3rd in the Poetry Out Loud Contest hosted by the English Department on Friday night, Jan. 20. First place winner, Genesis Rojas will go on to the Southeastern Regionals of Poetry Out Loud with a chance to continue on to the State round. 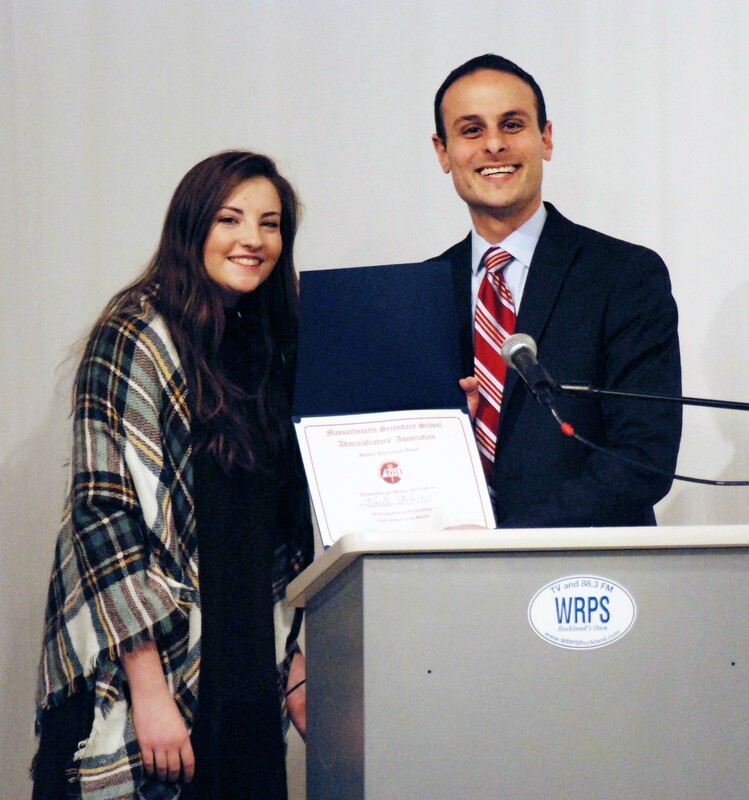 Rockland High School has competed in Poetry Out Loud for all 12 years of its competitions with several competing in the State Finals and one going on to the Nationals (Gabrielle Guarracino). This event was hosted by Rockland Schools’ English Department Head, Carol Cahill. The event was made up of two rounds; in each round contestants from all grade levels recited one poem in front of three judges, who were Karen Bonn, Bill Boyer, and Jake Carey. After many good performances, sophomore, John Ellard came in third place. Sophomore, Adiza Alasa came in second. First place winner was senior, Genesis Rojas. Rojas will soon be participating in the regional competition that will take place in South Yarmouth. She will compete for a chance to go on to the State Finals. 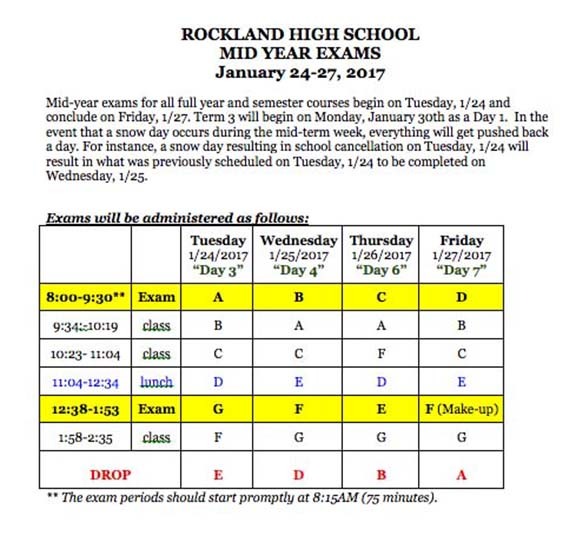 Mid-year exams for all full year and semester courses begin on Tuesday, 1/24 and conclude on Friday, 1/27. Term 3 will begin on Monday, January 30th as a Day 1. In the event that a snow day occurs during the mid-term week, everything will get pushed back a day. For instance, a snow day resulting in school cancellation on Tuesday, 1/24 will result in what was previously scheduled on Tuesday, 1/24 to be completed on Wednesday, 1/25. This morning, RHS students and faculty congregated in the RMS/RHS auditorium to listen to the story and message of drug abuse and self-confidence from Chris Herren. This event was sponsored by Dan Biggins, Rockland school committee chairman. The ex-Celtics star spoke of his high school drug abuse leading into his professional basketball career and overdoses. He explained the impact drugs have on families and provoked many high school students to contemplate their decisions and ask themselves “Why?”. His story and message, although saddening, was quite inspirational. He went from overdosing four times on heroin to being someone his children can look up to and admired by many. Herren suggested others can bounce back just as he has if they make the effort. He urged students to be someone younger family members can look up to and to be someone their parents could be proud of while sharing the stories he has encountered on his journey. All in all, Herren’s speech was inspirational and eye opening to many. The RHS students and faculty would like to thank Mr. Herren for his wonderful presentation and to Mr. Biggins for this generous event. Chris Herren spoke to RHS students on Friday, Jan. 13. photo by Maddie Gear.